I'm currently reading Arabs without God: Atheism and freedom of belief in the Middle East. It is an interesting read and I will have more to say on it when I'm done. 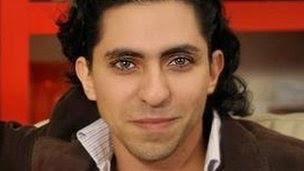 In the mean time, Saudi Arabia continues is continuing its horrific practices - this time of flogging a blogger, Raif Badawi, for "insulting" Islam. Since we only know of the cases that gain international coverage, we have no idea how many such cases actually exist. This is the case for executions as well. I had blogged about a popular Lebanese host back in 2009 who was put on the death row for sorcery charges, but also discovered that several others had been executed more quitely for similar charges (also see Saudi government mulling spreading atheism as an act of terror). It was further disgusting to see world leaders lining up to pay tribute to a late Saudi king (does his name even matter - as their policies more or less remain the same). the Associated Press on condition of anonymity fearing government reprisal. Badawi was sentenced last May to 10 years in prison and 1,000 lashes. 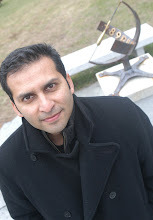 He had criticized Saudi Arabia’s powerful clerics on a liberal blog he founded. The blog has since been shut down. He was also ordered to pay a fine of 1m riyals or about $266,600. His next two floggings were postponed - probably because of international pressure. But here is his sister talking about his flogging, and her lawyer husband has been put in jail as well for defending her brother. 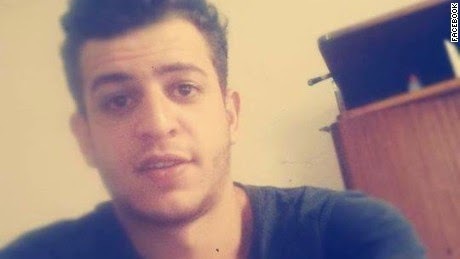 It took one session on Jan. 10 for a court in the Nile Delta province of Beheira to sentence Karim al-Banna, a 21-year-old student, to three years in prison for saying on Facebook that he was an atheist. The student’s lawyer complained that he was denied the right even to present a defense, but an equally chilling aspect of Mr. Banna’s case is that his father testified against him. police to complain that his neighbors were harassing him. This was after his name had appeared in a local newspaper on a list of known atheists. Instead of protecting him, the police accused him of insulting Islam. Similar charges have been used for political purposes against Egypt’s Christian minority. In 2013, a Coptic Christian lawyer, Roman Murad Saad, was sentenced in absentia for “ridiculing” the Quran. From 2011 to 2013, Egyptian courts convicted 27 of 42 defendants on charges of contempt for religion. It is no surprise that Mr. Banna’s conviction occurred on the watch of Abdel Fattah el-Sisi, the former army general who led the ouster of Mohamed Morsi of the Muslim Brotherhood to become president. Regardless of which way the seesaw of power in Egypt tips — toward the Islamists or toward the military — it is always a heterosexual, conservative Muslim man who heads the moral hierarchy. The further from that identity you are, the more vulnerable you are. There are couple of things to note in the Saudi and Egyptian stories: 1) These are both repressive regimes facing fast changing times and they are eager to - as have many who came before them - use religion as justification for their actions, 2) There are also changes taking place within these societies due to expanding higher education and having access to broader international discourse on these matters and one expression is that of a more assertive expression of personal religiosity or lack thereof, 3) such stories also provide fodder for Islamophobic groups and individuals who use these cases in Egypt and Saudi Arabia to paint Muslims in a unitary light (for example, see this righteous beginning from the Islamphobe website Jihad Watch for the Egyptian case: "In the enlightened West, Karim al-Banna would never have been sentenced to prison for insulting Islam. He just would have been excoriated as a racist, bigoted Islamophobe, and shunned by all decent folk."). So yes, we have to keep on calling out governments of Egypt and Saudi Arabia, to absolutely stand with Raif Badawi (and others like him in Saudi Arabia) and Karim al-Banna (and many others like him in Egypt), but doing this without giving platform to organizations like Jihad Watch and, unfortunately, to people like Richard Dawkins (whom I used to admire in the 1990s). While we are at it, also check out this organization: Muslims for Progressive Values (MPV).